For him, it will be difficult for another person to come and manage the club the way Wenger has been doing for the past 20 years. He said that the manager is a selfish person and that he put the interest of the club above everything else. Eboue stated that it would have been easy for the manager to buy expensive players every season and to sell them for a lower price whenever they are not performing as some of the other big clubs do. He said that Wenger does not want to spend money unnecessarily and that he is always looking for opportunities to help the club make some savings. The former Arsenal player said that he understands the opinion of the fans as well. He stated that they all want to win trophies and that this has been a bit rare in recent years. He stated that it is becoming increasingly difficult to win the Premier League at the moment with all the big clubs having wealthy owners and that fans should become accustomed to the fact that they cannot win every time. 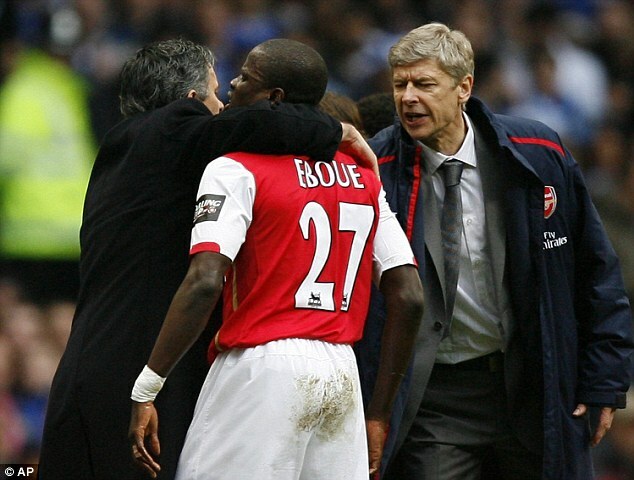 Eboue believes that they should be giving Arsene Wenger some more time as he knows what he is doing. He said that this season there had been some players that have been underperforming and that it has not been entirely the fault of Arsene Wenger that the club has failed to mount a proper challenge for the title.